This ColorRead With Me™ Storybook is an opportunity for adults to read an adventure story to children as young as five, and for kids to also color the lovely drawings. 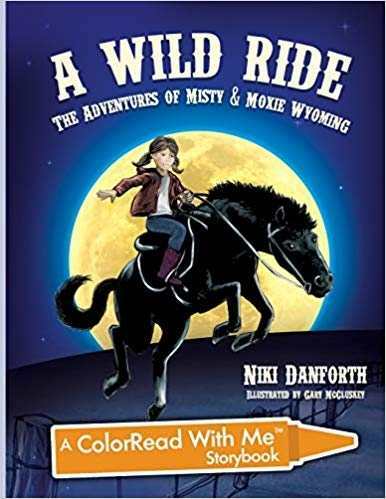 10-year old Moxie Wyoming’s dreams kick up visions of a fine young horse as she embarks on a summer of magic, mayhem, and adventure. Little can she imagine how the old sway-backed Misty will help her transform into a courageous sleuth working to save an endangered wild Mustang herd.